Today is day four of our celebration week! 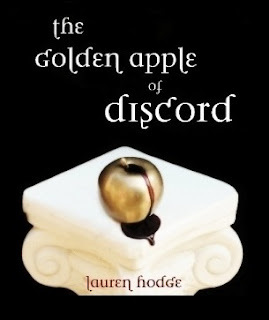 We have the pleasure to introduce Lauren Hodge who is the author of " The Golden Apple of Discord". Sandra is currently reading this book and she do not want to put it down. We recommend you to enter our Giveaway of this book cause it is soo good! 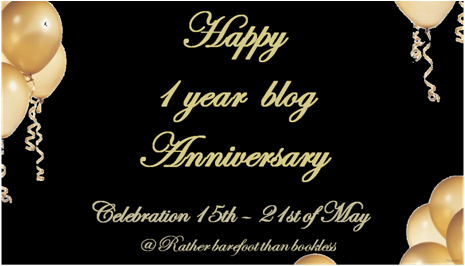 Below you also find a guestpost from Lauren so you can get to know her a little better. I had written two human romance books for fun and thought I’d try my hand at a paranormal romance. It’s different because you have to set up the rules of your cannon and then operate within them. I looked at it as another challenge but a fun one. Originally I wrote Discord as one big book which clocked in around 210,000 words. After a little research I found that anything over 100,000 words was considered too long for an unknown author. I had to split it but there wasn’t a good place to split it in the middle so I committed trilogy. Then as I went through the rewrite I noticed there were way more things I could do with this story that I had wanted to do the first time around but hadn’t quite figured out how to yet. Discord is about 97K, Abomination (Book two) will be a little over 100K and the third book will be around 100K as well. Another reason I wanted to write Discord is because I wanted to put strong female and male characters together and see what show they put on inside my head. I also wanted strong, male characters that weren’t emasculated in the presence of strong women…because those are hot. Honestly I’ve been on too many dates with wussy men so I created some strong (yet not man-child) men to spend time with. Discord is my playground and one of the things I like is the logic of planning assaults. We get to see how these characters use the assets available to them and how they go up against other powerful vampires. While we have this in Discord, we get way more of it in Abomination and even more in the third book. Honestly, it’s because of my identical twin sister. I was just writing for fun. There is nothing else to do in Tri-Cities, Washington besides get drunk or pregnant so I wrote to amuse myself. Shelby liked Discord so much she said she’s shop it around if I would polish it up. I figured at the very least I’d get to spend more time with the characters inside my head I loved so much, so I did it. What actually ended up happening was that Shelby (twin) became kind of a preliminary editor and I went the self-publish route. I didn’t want to wait for the agent-publisher-bookstore lottery so I got a professional editor (which I worship the ground she walks on) and a cool photographer (another sister of mine) and came up with a way to get Discord into eBook format. I love self-publishing but understand why people are wary of it. A writer could go through the whole process and put a book on Amazon without never having another person see it. This is NOT what happened with Discord. We put it though half a dozen test readers, five drafts and two editors ( one of which is at www.mytwocentsediting.com). I have yet to get a bad review from any of those people but the free-market will be my judge. That’s what I love about self-publishing. It lets the free market decide, not getting the blessing of a publishing house first and them letting the market have what it decides is good. What am I looking forward to with the release of Discord? I personally can’t wait to see what people that don’t know me think of the book. Is it as good as I think it is? My opinion is almost meaningless. It’s like a mother saying her child is cute. No mother is going to stand up and say “My kid is the ugly one” so we can’t believe anyone who touts the merit of their own child. I want to see what people who don’t relate to me as a person think. I want them to pick apart these characters and see if what they do makes sense. Will I continue to write when the Discord Trilogy is done? I can’t imagine my life without writing. Every time I come up with a story, it screams to be heard. I don’t write because I’m a good writer, I write because the characters play inside my head until I let them be heard in Word 2010. Discord is not my story but rather a story inside a brain using my fingers to type out. What’s in store with Abomination? I will tell you one thing…it’s in Alex’s point of view. The Discord Trilogy is like Lord of The Rings in the way it progresses. The scope of the Discord Trilogy world increases dramatically in Abomination and even further in Book Three. Make no mistake, Discord stands on its own as a good book. You’re not going to get to the end of and think it was just a trailer for Abomination. We have hot guys that don’t disappoint in the masculine department. We also get really cool chicks that know how to laugh. In Abomination, crap gets real but it’s amazing how much further we get to watch these characters go. Lauren is giving away one e-book copy of The Golden Apple of Discord so one lucky reader! Enter here!